On May 21 at approximately 1:30 a.m. the Calcasieu Parish Sheriff’s Office responded to a call near Broussard Road and Toomey Road in Vinton in reference to a shooting. When deputies arrived they located the victim, who had been shot several times, laying on the ground and immediately rendered aid until medical personnel arrived. 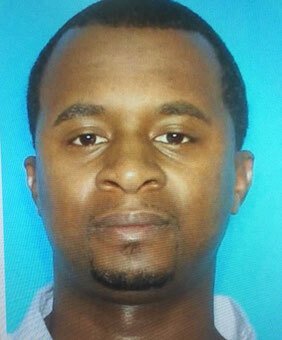 During further investigation detectives were able to identify the suspect in connection with the shooting as Artemus C. Beasley, 37, Texas. Detectives learned Beasley and the victim are from Orange, Texas and were visiting the Vinton area when the shooting occurred. Later the same day Judge Clayton Davis signed a warrant for attempted 1st degree murder in the amount of $750,000 for Beasley’s arrest. The Calcasieu Parish Sheriff’s Office is asking the public for assistance in locating Beasley. If anyone knows of his whereabouts, please call CPSO at (337) 491-3605 or Crime Stoppers at (337) 439-2222. The victim was transported to a hospital where he remains in critical condition. CPSO Detective Jacob Dunnehoo is the lead investigator on this case.